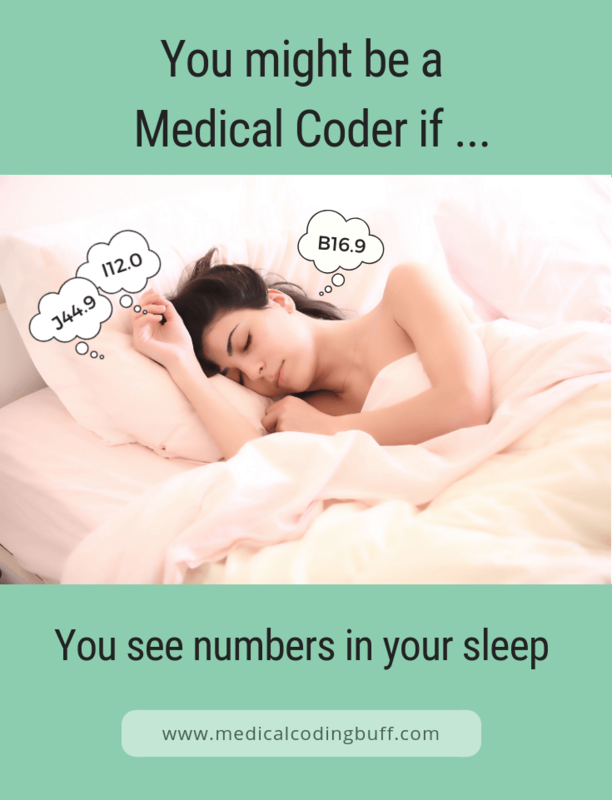 Jokes aside, this has happened to me many times where I have gone to sleep dreaming about medical coding. And this may have been the case for you too! Especially after spending your days studying for a coding exam or coding patients’ medical charts all day. Either way, medical coding may be your passion! Or maybe this hasn’t happened to you (yet), because you are just starting out on your career path and education. You aren’t sure exactly what is involved in medical billing or coding or if it’s a good fit for you. In that article, you will learn what these health professionals do, where they work, and how much they make. In addition, you may not know what these funny looking acronyms mean: ICD-10-CM, ICD-10-PCS, CPT, AND HCPCS. And why do medical coders (and billers) need to know this information? In this other article, you will learn not only what these acronyms mean but what they are used for. And the reason you need to know them is that it is your job, as a medical coder or biller, to provide important information for communication and billing purposes.